Call your friends' mobile or landline phones. * It's affordable, both within the US and internationally. And calling someone's PC is always free. Set up a Sharing Folder with a friend. Drop in photos and other stuff, as many as your computer can handle. See your Sharing Folder even when one of you is offline. The world's largest IM network has just gotten bigger—and better. 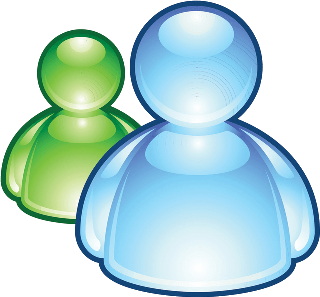 With Windows Live Messenger you can now connect with your Yahoo! IM contacts. Forget about using multiple accounts to talk to your friends—IM them all with Windows Live Messenger. Browser: Microsoft Internet Explorer version 6 SP1 or later must be installed on your computer, though it does not need to be your default.